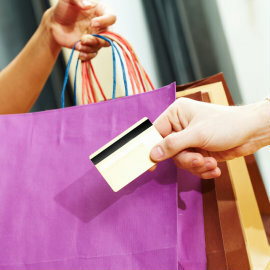 Signing up for a Visa® credit card with GCS Credit Union has an effect on more than your wallet — it makes shopping fun again! Shop locally, globally, or online, and rack up ScoreCards reward points every time. Whether it's a new pair of designer jeans, college textbooks, or that new car seat for another package on its way, you can charge it for low interest and no annual fee. Our helpful online resources will walk you through the process.